A four-year-old project run by the Texas Tech University Health Sciences Center in a group of West Texas high schools has prevented violent incidents through screenings, according to one Tech official. Could it work in all Texas schools? A Lubbock-based program seeing success helping prevent at-risk students from committing violent acts is getting more attention after Gov. 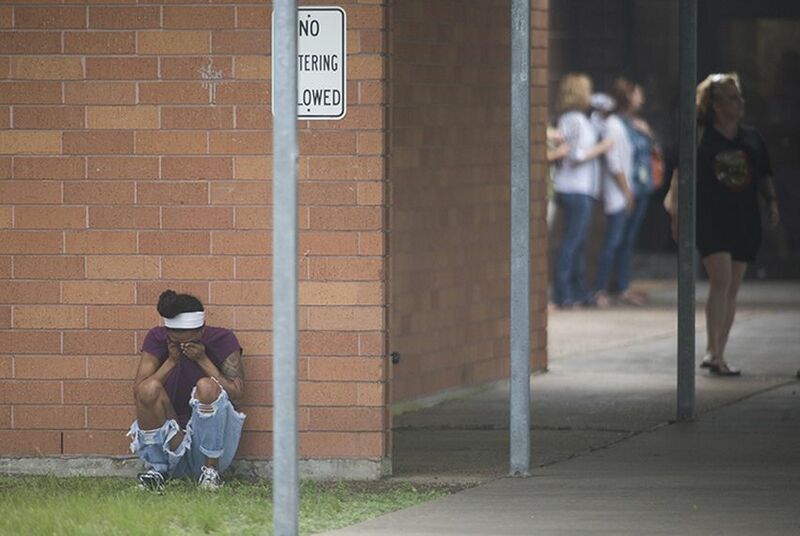 Greg Abbott touted it as a potential statewide model to reduce school shootings the day after a student allegedly shot 10 people to death at a southeast Texas high school. At Santa Fe High School on Friday, police said 17-year-old junior Dimitrios Pagourtzis, armed with his father’s legally owned shotgun and .38 revolver, killed eight students and two teachers and wounded 10 others. Pagourtzis, who had written about his plans in his journal but otherwise showed no obvious danger signs according to Abbott, has been charged with capital murder and remains in Galveston County Jail without bond, the school district said. But could it identify — and stop — someone like the alleged Santa Fe shooter? Billy Philips, executive vice president for rural and community health at Tech’s Health Sciences Center, said he “was a bit surprised” to hear Abbott mention the program, which he said has seen success but is still being refined. The program launched in 2014 in response to a pair of mass shootings in 2012: A theater shooting in Aurora, Colorado, that killed 12 people and injured 70 others and the Sandy Hook Elementary School shooting in Newtown, Connecticut, that left 20 children and six adult staff members dead.